They leave behind an ominous-looking stretch mark that is actually the paint from the object that scratched on your vehicle. Most of the time, these are just superficial and can be removed with high-quality rubbing products. Don’t despair; you can still do something about the annoying paint transfer. You can easily learn how to remove paint transfer from car without bringing it to an automotive shop and save on time and money. Here are the things that you need to remove paint transfer from your car. We will provide you different options to choose from depending on the gravity of the paint transfers. In case there are minor scratches, we will also recommend products that you can try out. 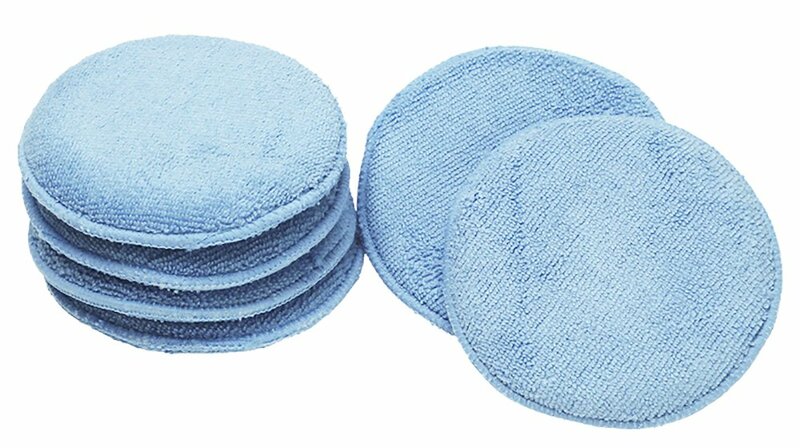 You can purchase Viking 862400 Blue Microfiber Wax Applicator, (Pack of 6). This will be used to apply compounds, wax, or polish. Microfiber works best, so it won’t leave residue or scratch your car paint. Do not use the same applicator for different products because it won’t be as effective. 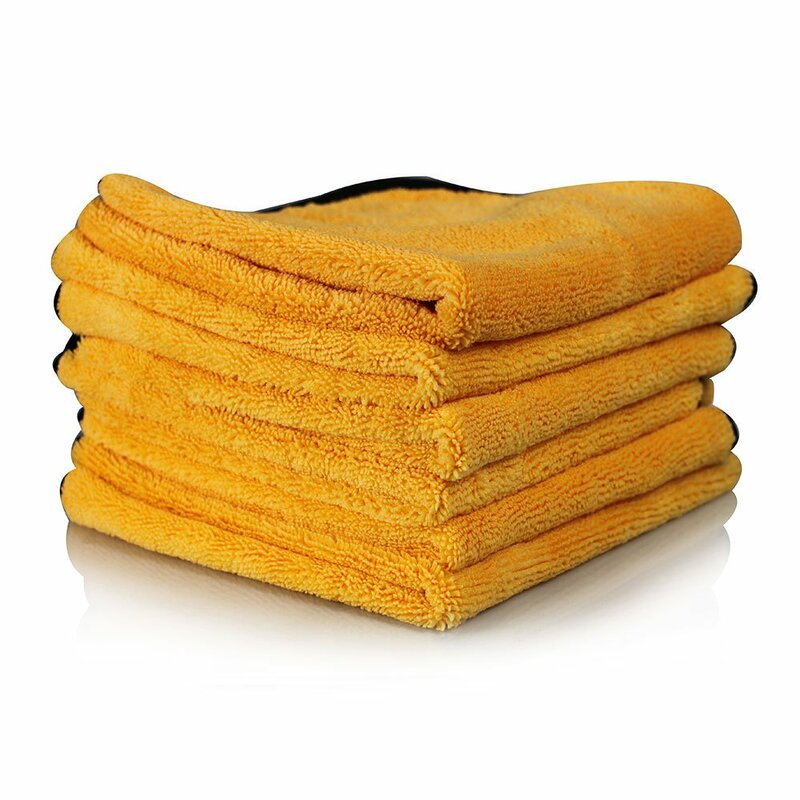 Choose Chemical Guys MIC_507_06 Professional Grade Premium Microfiber Towel – these towels will be used to dry the products applied on your car and for other car cleaning purposes. You can even use it when cleaning inside your vehicle. Again, one towel should have one purpose; towels used inside the car should not be used in wiping the car’s exterior. 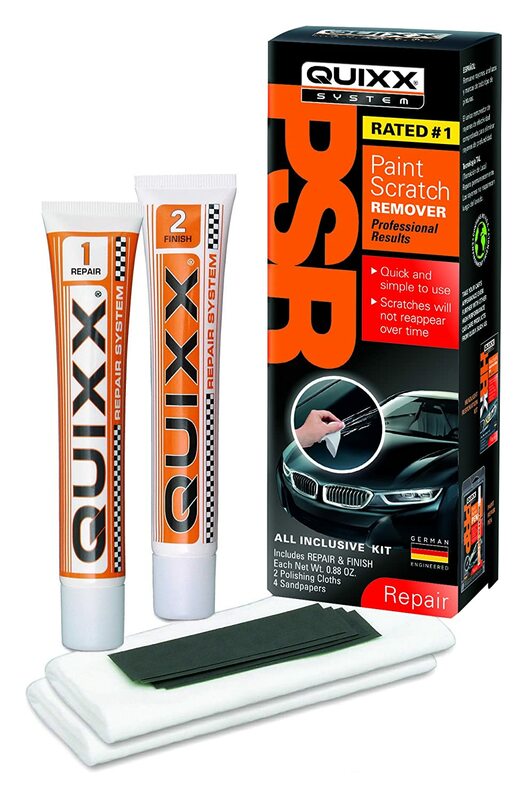 All-in-one scratch remover - such as Quixx 00070-US Paint Scratch Remover Kit. It comes with four pieces of grit sandpaper, repair polish, finishing polish, and two polishing cloths. This is very handy for those minor scrapes and scratches and can be easily used. Try M﻿﻿eguiar's G10307 ScratchX 2.0 - 7 o﻿﻿z. This product safely removes paint transfers instead of hiding them. However, this is only for minor paint transfers and may not take care of scratches and other abrasions. Try Meguiar's G17216 Ultimate Compound - 15.2 oz. This product will be used to remove the paint transfers, water spots, and other blemishes without scratching the paint. This product is necessary not just in removing paint transfers, but you can use it in over-all car cleaning. 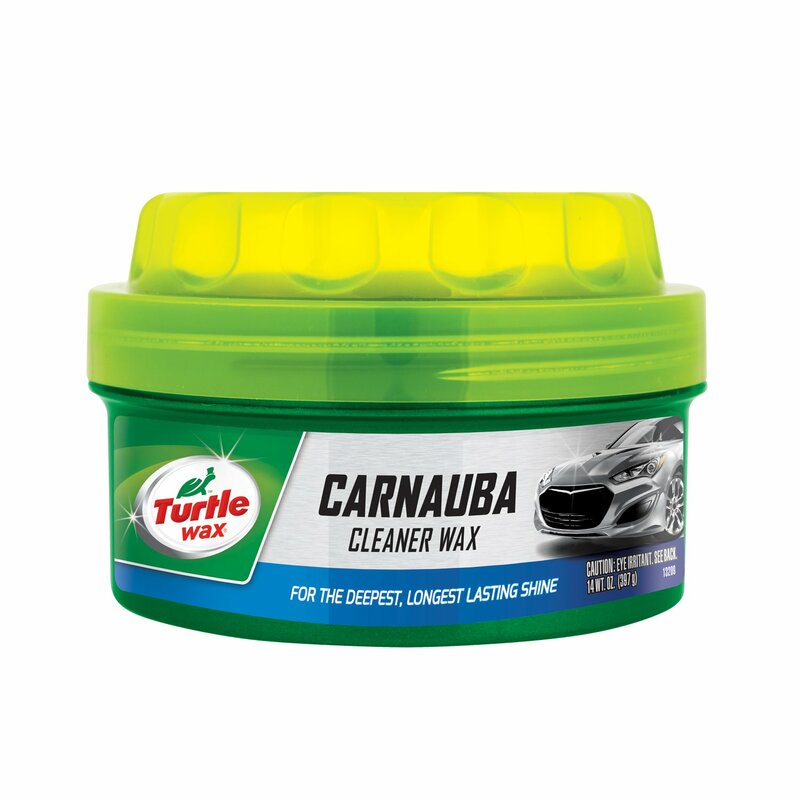 We recommend trying Turtle Wax T-5A Carnauba Cleaner Paste Wax - 14 oz. Carnauba wax is the perfect finish and leaves your vehicle with a shiny, protective finish. It also helps restore your car’s shine and color. Best to have this all the time and apply it after cleaning your car. Now, roll up those sleeves or change into some comfortable clothes and prepare to get sweaty and dirty. You don’t have to fret about those nasty paint scuffs because the power to remove them is in your hands – literally! Washing your car lets you see the actual paint transfer and how much work needs to be done. Sometimes, we mistake the dirt for paint transfers. Once you’ve cleaned your car, it will be easier to see which parts need to be treated. Completely dry your car after washing it, so it will be easier to apply the paint transfer remover. Once you have determined that the paint transfer is easy to remove, you can use an all-around scratch remove. You can test if the paint comes off easily when you lightly scratch them off using your nails. Use the grit sandpaper and scratch lightly to remove the paint. Rub off the residue with the repair polish and finishing polish. Make sure to use separate applicator pads for the polish. In most cases, there may be light scratches underneath the paint scuffs. This is understandable because you hit something solid. If you are not satisfied after applying the scratch remover, use a compound to get rid of the paint scuffs. Get an applicator pad and apply a cleaning compound to remove the paint transfer and other elements. After removing the residue with the compound, polish it off with a high quality carnauba cleaner paste wax. This helps bring out the shine in your car and protect it from water spots, UV rays, and fading. Remember to use another applicator pad for the wax. Use the microfiber cloth to dry off and polish the car wax manually. Don’t apply too much pressure to avoid fingerprints. You can also use a car polisher if you have it handy. Gas can be used to get rid of the paint transfers. If you don’t have the above products on hand and you annoyingly want to get rid of the paint transfers right away, you can use household products to remove them. Gas can be used to get rid of the paint transfers, however, be extra careful when using this as gas is flammable. Therefore, no smoking and no open fire should be nearby. Just get a piece of cloth and dampen it with gasoline and wipe off the paint transfer. Make sure to wash it off to get rid of the smell and the gasoline. Wash the cloth that you used to avoid accidental fires. Cooking oil can also be used to remove minor paint transfers. Although if the paint transfers are too embedded, this might not work too much. It may remove just some of it but not all. Now that you have learned how to remove paint transfer from your car, it’s time to purchase and stock up on the products mentioned above if you don’t have them yet. Those products can also be used for car cleaning, so it’s a win-win situation. By the way, here is a helpful six-minute video on how to remove paint transfer from car. What do you think of the article above? We’d love to hear your creative suggestions and tips, too. Please share your comments, suggestions, and feedback. Don’t hesitate to share this article with other car enthusiasts. I have a few very minor paint scuffs. I applied ScratchX 2.0 and now they’re not visible but when I wash the car they reappear. What donI do?